1. If you must snore, do so daintily. 2. Sometimes snoring = excessive purring. 3. If you don't wake your napping partner, you're not snoring correctly. 4. The best snores are the ones you get up-close to discover. 5. Beauty sleep should result in beauty snores. 6. Snores are the sure sign of peaceful sleep ... For you, that is. Not others. 7. Should the perfect comfy couch should appear, game over. 8. Your cuteness is never lessened by your snores. 9. Ignore how others may stare. Be loud. Be proud. 11. Falling asleep in a glass? Check. Snoring like you don't care? Check. Giving any haters the evil eye? Nailed it. Although snoring is undeniably cute, if your furry family-member is snoring even when they aren't asleep, make an appointment with your vet. We want to feature your pet photos on The Dodo! 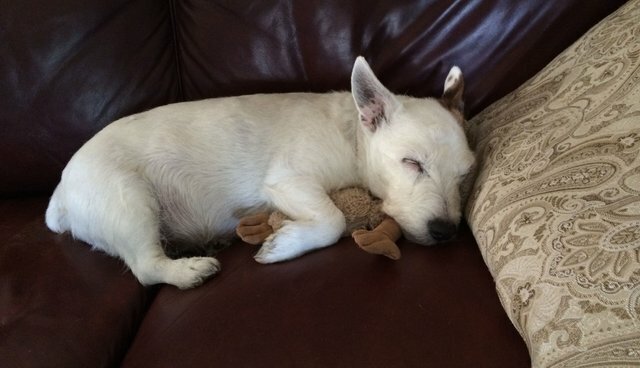 Send us a photo of your sleepy pup by emailing us at submissions@thedodo.com or tweeting at us @dodo.